The three high-quality villas Triena, offer privacy and luxury with all the amenities you can have in a luxury hotel. With an emphasis on aesthetics and comfort, but by focusing on Ionian architecture and integration into the landscape. Careful construction, fine fabrics, and decorating, are some of the components throughout. 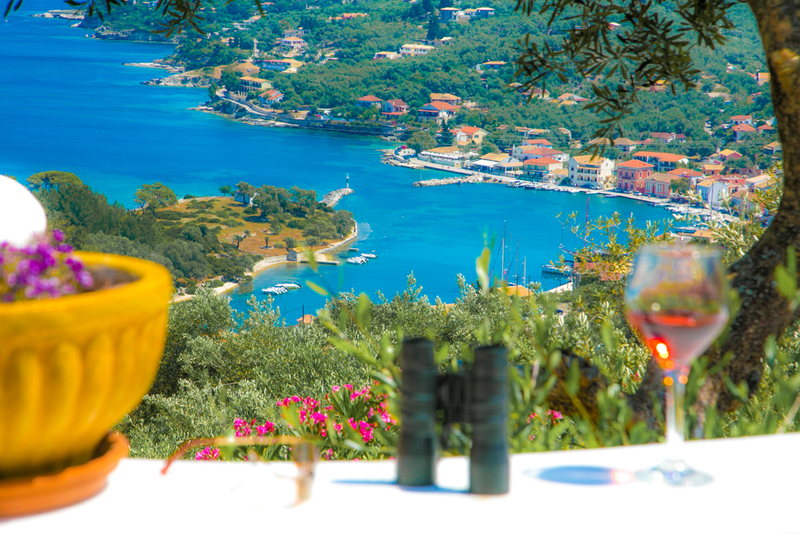 Discover now the privilege of staying in an elegant and fully attentive villas when visiting the island. No more need to settle for the small site and the comparative disadvantages of mass tourism, where an alternative offers space, privacy, home comforts and personalized level of hospitality and service. Offering spellbinding views, both across the town, harbour and the mesmerising sea beyond, Anastasia is one of three select properties (sister villas Theodora and Triena are nearby) sitting in private and thoughtfully landscaped grounds amongst the centuries-old olive groves immediately above Gaios town..Creating an attractive fusion of old and new, subtle cues from traditional Ionian architectural principles such as the honey-coloured stone façade and upstairs vaulted wooden ceiling combine with a refined décor of soft pastel shades and taupe to ensure a welcoming and wonderfully comfortable house. One of only three recently-built villas (Theodora and Anastasia also grace these environs) this gorgeous home from home is expertly positioned to take full advantage of the most breathtaking views over the verdant hillside, town and glittering sea beyond. Following the coast road from the port of Gaios, we climbed gently uphill to where the dense olive tree canopy is penetrated by occasional soaring cypresses and it was here, hidden away in a most remarkable location, that we stumbled upon Triena. Houses with dramatic sea views are always an absolute delight to discover, particularly when they are set amongst such lush gardens and boast the level of quality offered by Theodora. 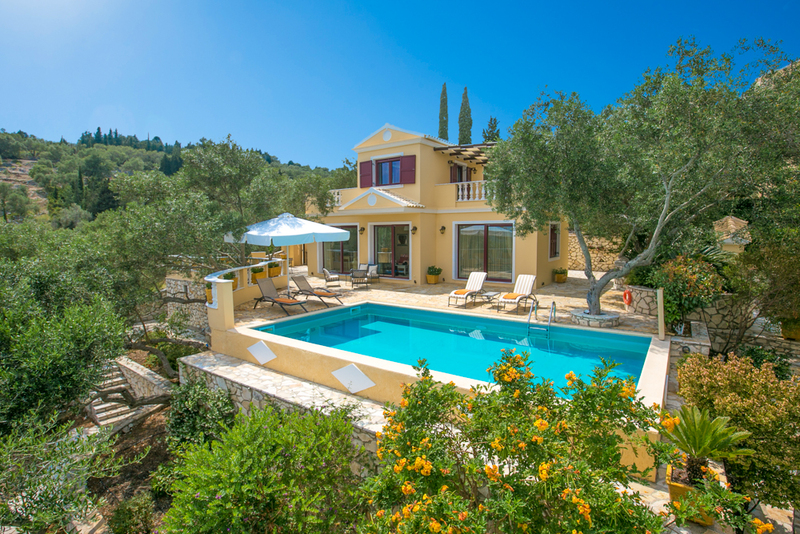 One of only three select properties (sister villas are Anastasia and Triena) to enjoy this desirable, infinitely peaceful enclave, Theodora sits just above Gaios, the capital and primary port of sleepy Paxos. Internally, the open plan living accommodation is finished in soothing pastel shades with light, colour-washed woodwork and cooling grey flagstone flooring; attractive fabrics in vibrant tones providing an eye-catching contrast.